Her exit from the 9 a.m. hour of the "Today" show appears to be imminent. Variety reported on Wednesday evening that Kelly and NBC News executives have been holding conversations about a new role for her. (CNN) — Two years of pent-up bitterness and backbiting about Megyn Kelly have finally come to a head at NBC News. Kelly has parted ways with her talent agency, CAA, according to two sources, and she has hired attorney Bryan Freedman. Kelly’s offensive remarks about blackface Halloween costumes on Tuesday have raised more questions about her future at NBC. Spokespeople for NBC News declined to comment, and most staffers at the news division remain in the dark. Tuesday’s controversy made national news and stoked disappointment and resentment within NBC, according to multiple sources at the network. 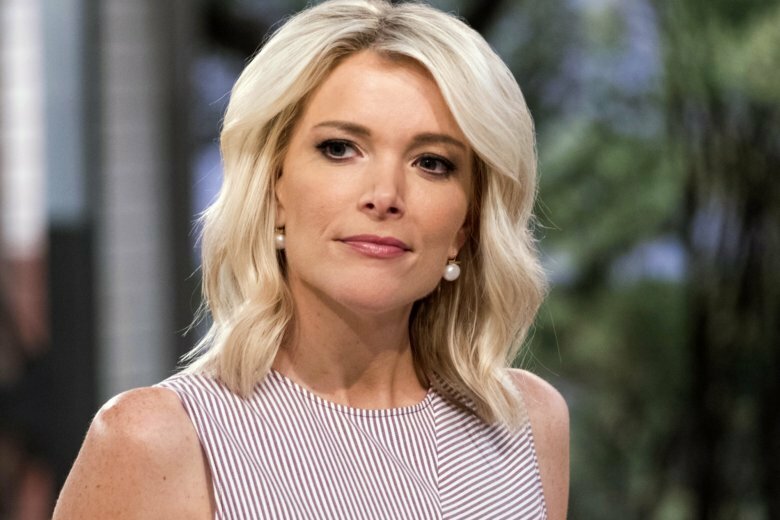 Kelly started her show on Wednesday by apologizing for comments made the previous day. Her audience gave her a standing ovation, but disappointment inside NBC News runs deep and isn’t likely to fade anytime soon. Lack spearheaded Kelly’s hiring and championed her 9 a.m. show. But this week his news division has covered the Kelly controversy on multiple programs. Instead of promoting the “Today” show as a happy family, NBC has aired the family’s fight — giving time to Al Roker and others who strongly criticized Kelly’s comments. Tuesday’s blackface talk — featuring an all-white panel of guests — was a major misstep. But the Kelly rancor is about more than one segment. The New York Times reported on Wednesday evening that Kelly and Lack “discussed a possible winding-down of her portion of the ‘Today’ show by the end of the year,” meaning the conversations pre-dated this week’s controversy. These NBC staffers routinely call Kelly’s show a “disaster” and other disparaging terms. Most of the anger isn’t directed at her, exactly, but at the management of NBC News — the men who hired her away from Fox in January 2017. “We’re lucky to have her,” Lack said on the day her new deal was announced. At the time, some other TV executives agreed. After all, there had been a bidding war for Kelly when it became clear that she wanted to leave Fox. But Kelly was best known for fiery segments on Fox’s staunchly conservative prime time schedule. There was widespread concern that she was being miscast at NBC. The network said she would have two main jobs: A 9 a.m. talk show and a Sunday night newsmagazine. Her reported salary of $23 million a year for three years, totaling $69 million, became a bit of a scandal inside NBC, even before she started on the air. Kelly’s morning show premiered in September of 2017. Television critics found a lot to criticize. And Kelly had some early stumbles, like an awkward exchange with Jane Fonda that made headlines for a long time afterward. Some of the controversies stoked curiosity about her new show, but mostly it just caused embarrassment and snickering about how long she would last at NBC. Most importantly, the 9 a.m. show did not meet ratings expectations. Kelly’s rivals noted that the earlier iteration of the 9 a.m. hour was more profitable back when Roker and Tamron Hall were the hosts. That’s partly because they were paid a lot less. Some people in the TV business said Kelly was given bad career advice. Others said NBC was unrealistic about expectations for her show. And still others said Kelly’s talent was not easily transferable from Fox to other networks. NBC introduced Kelly’s Sunday newsmagazine, but the program didn’t last long. As predicted, it suffered in the ratings versus long-running competitors like “60 Minutes,” and it was hobbled by scheduling issues. On the air, Kelly’s morning show has notched some wins — her show has been full of fascinating conversations and candid interviews. But it is still a ratings laggard. And the blackface controversy reinforces the perception — to the public at large — that Kelly is a Fox News personality, not a member of the “Today” show family. During the offending segment on Tuesday, Kelly said it was OK when she was growing up for white people to dress up as black characters, and she spoke out against a controversy that erupted last year over a reality star who portrayed Diana Ross. On Tuesday evening, “NBC Nightly News with Lester Holt” covered the Kelly story when few other networks paid it much attention. Roker, Melvin and other members of the “Today” show cast had a remarkably candid conversation about the controversy during the 7 a.m. hour of the show on Wednesday. The situation demonstrates the continuing unease about and disarray within NBC News over Kelly, whose hire and installation in the network’s morning hours was controversial. His blunt words expressed a point of view shared by many within the news organization. “Today” colleague Craig Melvin also called out Kelly’s comments for being “stupid” and “indefensible.” He pointed out that this controversy is an opportunity to inform people — but said most people already knew how offensive blackface is.